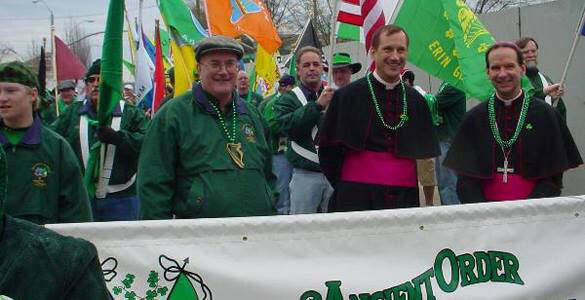 Saint Patrick’s Day will arrive in less than a month and we are ready. 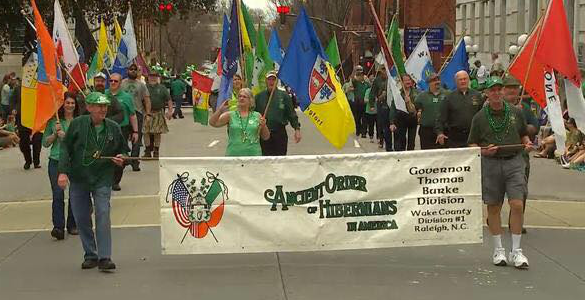 The Raleigh St. Patrick’s Day Parade and Festival will be on March 11th. 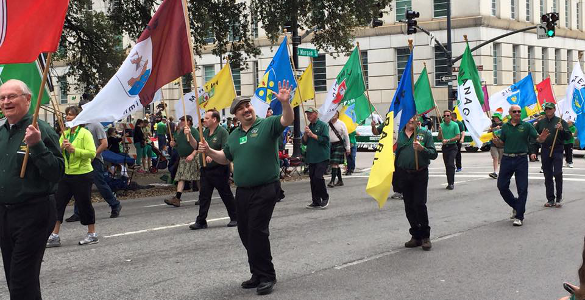 We will be marching in the parade with the Ancient Order of Hibernians (AOH), carrying the Irish County flags and handing out green beads. After the parade we will be playing on the big stage in City Plaza. Then the party will continue up in Wake Forest at D’s Bottle Shop where we will be playing that night. We hope to see you somewhere along the way on this fun day. On Saint Patrick’s Day we will be playing at our good friend and fellow Hibernian’s restaurant Patrick Jane’s in Cary. And the festivities don’t stop there. The next day we will be out in Knightdale at the Shamrock Shuck playing Irish Music along with our friends Gerry Mccrudden and James Olin Oden. Check out our Upcoming Dates page for information on all of our upcoming gigs.